This past winter I got an email from a lady in California who was thinking of coming to Cape Breton. She had found my blog by Googling “Cape Breton,” found the blog interesting, and wondered if I could help her with some of the questions she had about the place. I suggested she join the Facebook group for this blog and pose her questions there, that way she could “crowd-source” her answers. So she did that, (and thanks to all of you who answered her questions!) and we continued to correspond, and we became friends! Rhonda’s trip here is just ending, but she was here in Nova Scotia for a whole month. (I’m picking her brain for an upcoming post about what it’s like to be here as a visitor — her impressions, et cetera.) We hung out in Baddeck last week, and then we hung out again yesterday, over here in the CBRM, which I guess answers your burning question, “Would Leah hang out with me if I went to Cape Breton?” I know, you were really pondering that, haha. But the answer is, Absolutely! 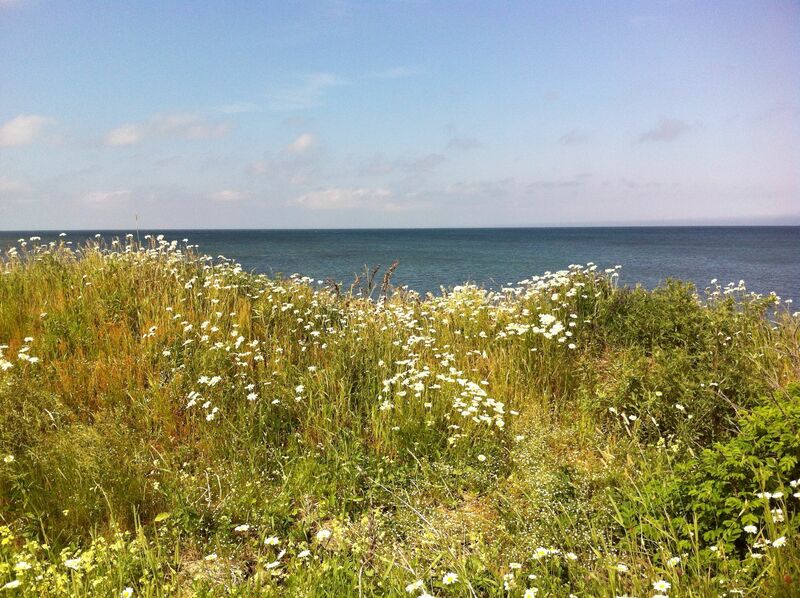 Anyway, today’s post is some photos and words from our day together, yesterday, spent in the Glace Bay area. 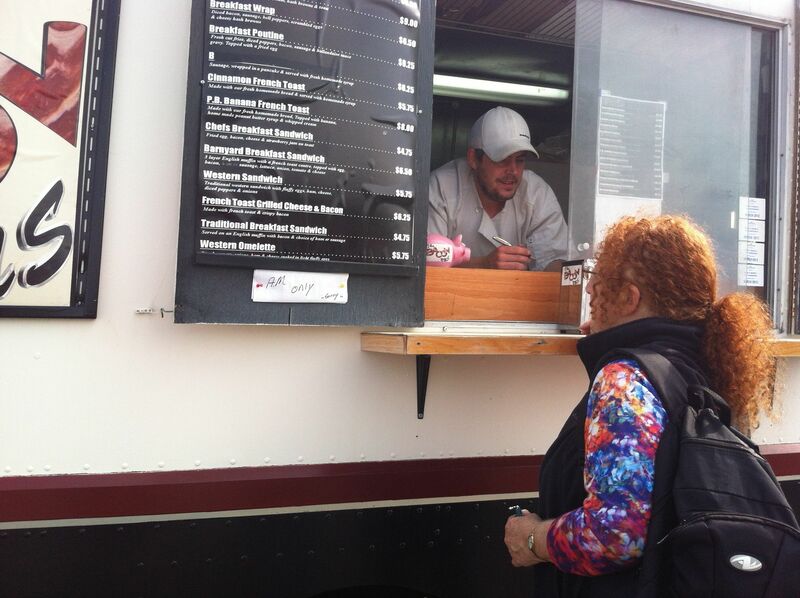 So our day started out in Sydney, after I picked her up from her hotel, with yummy coffee from Doktor Luke’s, and tasty food at the Bacon Bus (pictured above — Rhonda ordering her breakfast). 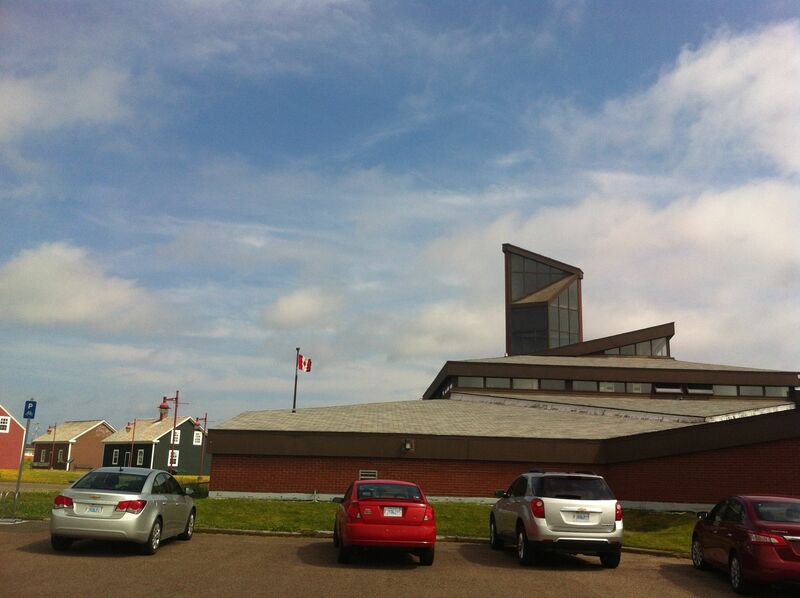 Then we drove out to Glace Bay to the Cape Breton Miners’ Museum. We walked through the exhibit part of the museum first, looking at all the displays about coal, and the history of mining in Cape Breton. Fascinating stuff, really well-displayed! 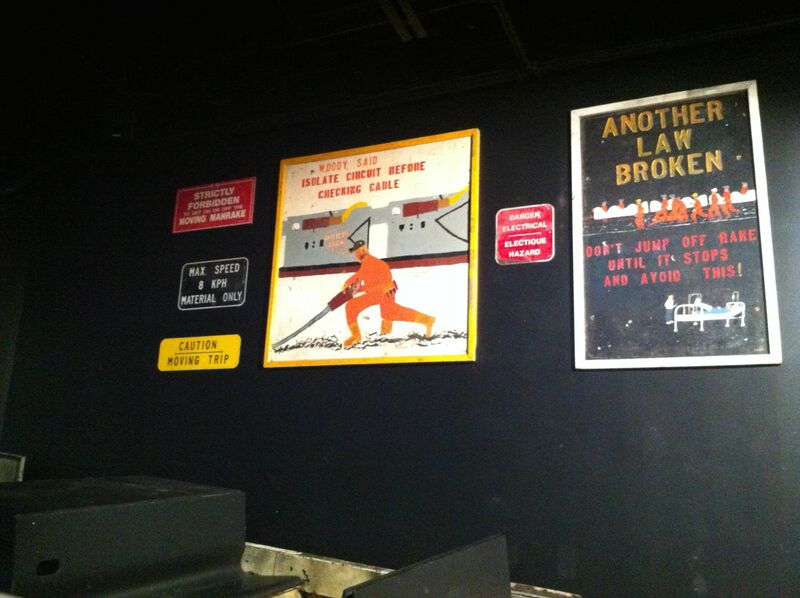 Then came the tour of a mine, which to my mind is the best part of the whole museum. 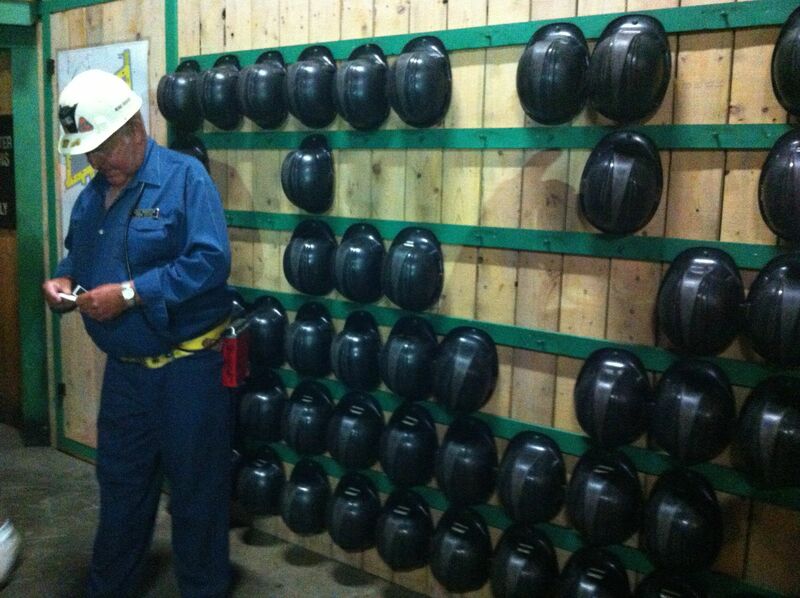 A retired Cape Breton coal miner is your tour guide — ours was named Wish Donovan. (Wish is short for “Aloysius.”) We gathered, a group of about 15 people, and put on capes and hard hats, and sat on wooden benches in a little area in the museum. Wish starts the tour by telling you all about how coal came to be mined in Cape Breton, and what life was like for a miner. And it absolutely floored me. I can’t say “I had no idea” that things were as hard for them as they were. I did have an idea. But it was one of those things that I don’t think about very much when I’m going about my day-to-day life. But listening to this man tell us about the long, long hours the miners worked (12 to 14 hour days, and that doesn’t include the hour ride out underground, there and back), and about how the coal company essentially owned the workers, with all of their weekly wages being used to pay for their family’s bill at the company store, and about how the houses were leased to the miners, but they had to always have one man in the household working in the mine in order to live there — all of it was hard to really comprehend. I think what drove home to me just how hard this life was, and that it really did happen, is that it happened here, on Cape Breton, the place where I live and explore and love. The island and the landscape I know so intimately — seeing the apple trees blossom, seeing the clouds in the sky, watching the waves come over the sand, and the snow blow in winter — this landscape only a short time ago was the host of this huge mining operation and the working life it entailed. The people living back then saw the same apple blossoms, the same clouds, the same waves, the same snow, as I do. It kind of blows me away that I live in the communities that are directly descended from that whole chunk of history. I’ve met retired miners. I know many people whose male ancestors all worked in the mines. 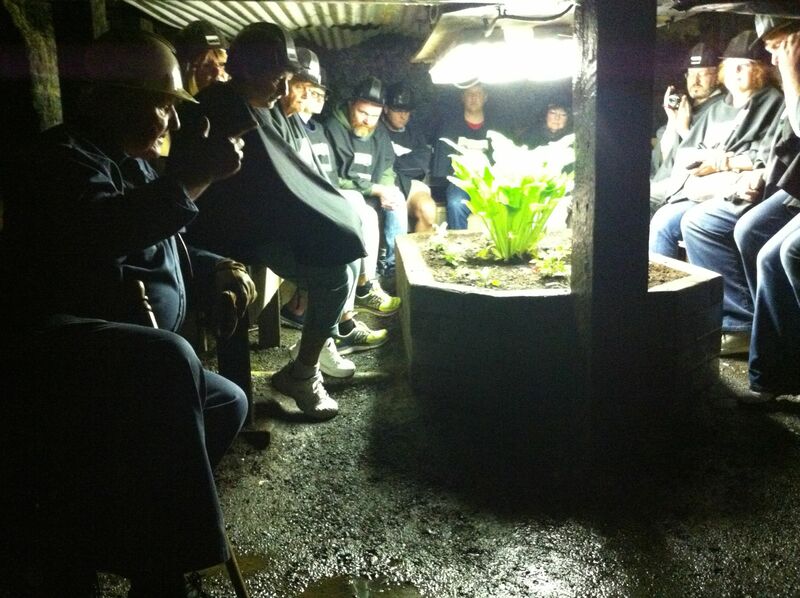 But I had no real clue of what it was like for them, until I went down into the mine at the museum. 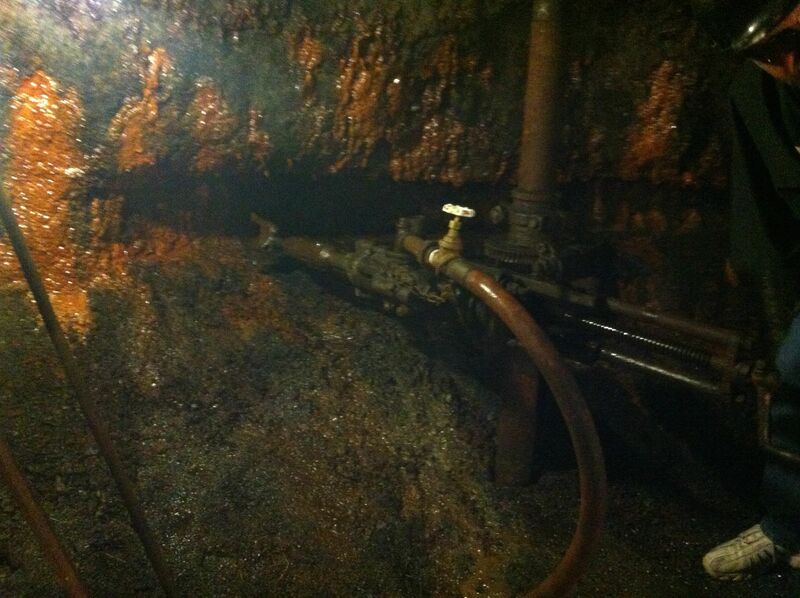 So we went down into the Ocean Deeps Colliery. 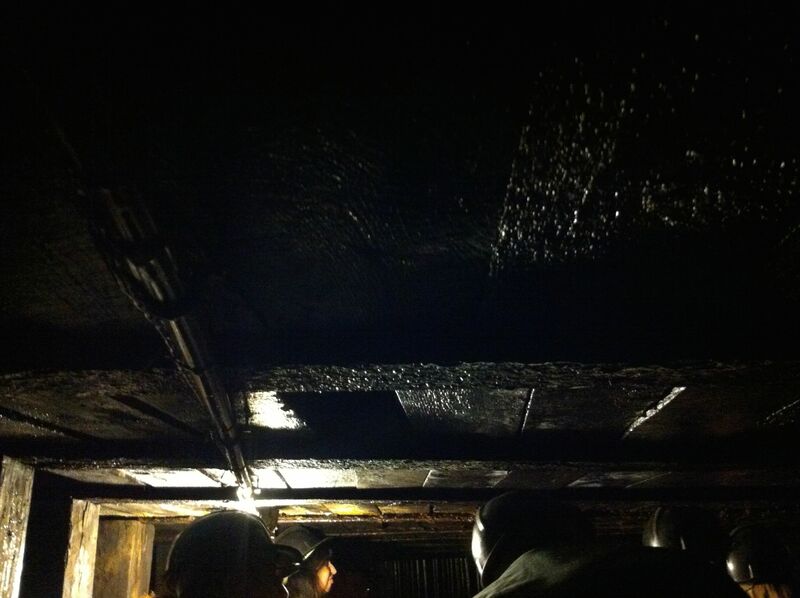 We walked down — it’s not very far, as this particular mine was designed for tours, not as a working mine. But even though it’s not far, it immediately gets colder, and damp. And very dark. Wish took us along the road — that’s what the part you walk on in the mine is called. He pointed out the doors at the entrance to each road that branched off, doors that they would shut to control the air flow. 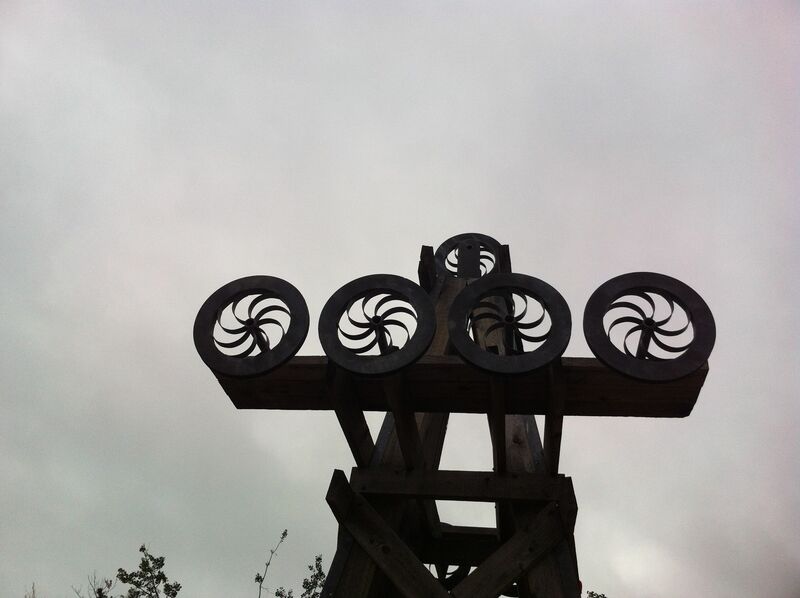 (There always has be fresh air in a mine, and from how much he talked about it, I got the sense that the way the air is flowing is of utmost importance.) 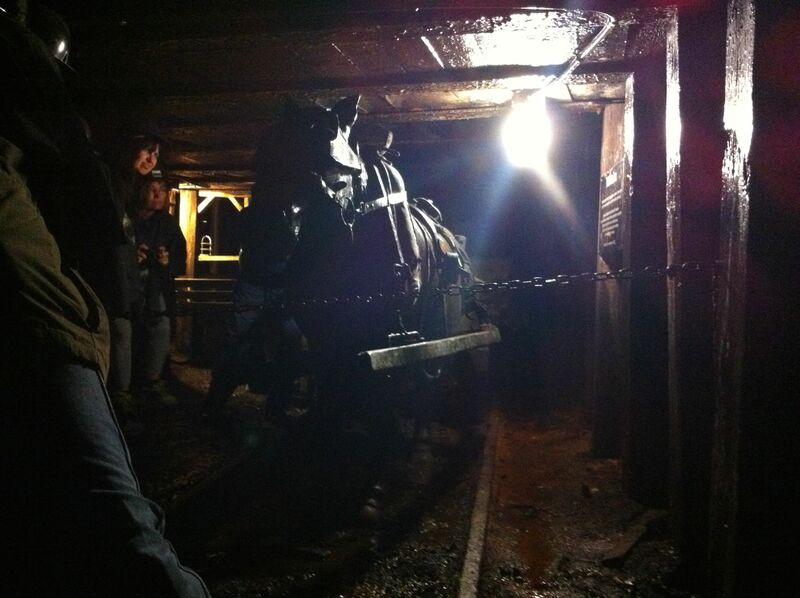 Wish talked about the ponies who lived down in the mines and pulled the carts of coal. He showed us the face of the coal, and turned on a drill that was used to cut the coal off the face, letting us hear how loud it was and the steady hydraulic pumping sound it made. It filled the whole space. He talked about the long, long working hours, and about the scary ride in the rake (the little train) down into the mine, that could take an hour to get out to where the coal was being produced. We were stooped over — at least, us tall folks — most of the time. Whenever the group would stop to hear Wish talk, I’d kneel down a bit to relieve my back. At the end when we all walked out into the area where we could stand straight, there was a collective “Ahhh!” and laughter, relief. Writing this now, a day later, I feel a strange urge to go back there, back down into the mine. There is something about it, that I can’t quite put my finger on, something gritty and real. Wish told us that most retired miners would go back to work in a heartbeat if the mines were re-opened, that even though mining is one of the most dangerous occupations in the world, the miners felt a sense of camaraderie with one another that made it a good job, one they looked forward to. At one point in the tour, when we were all seated on little benches around a garden underground, I could feel what it might have been like, that camaraderie. There we were, a group of mainly strangers, some from Germany, the USA, and other parts of Canada, all kind of wrapped-up together inside of a huge seam of hard, wet, dark rock, a totally dangerous and weird place for a group of humans to be. Yet in the light that was there, looking around at my fellow tour members, their faces suddenly seemed so interesting to me. The stories we were telling seemed richer somehow. Surrounded by inanimate black stone, these other humans meant more to me below ground that they might have, up above. Anyway, I could ramble on all day about the Miners Museum! The experience there is going to stay with me for a long, long time, especially in the mornings as I send my own partner off to work with his lunch can and safety boots. He is working somewhere much safer (he’s an electrician, in the IBEW union) and he comes home at 4:00. That alone is enough to make me feel incredibly grateful. 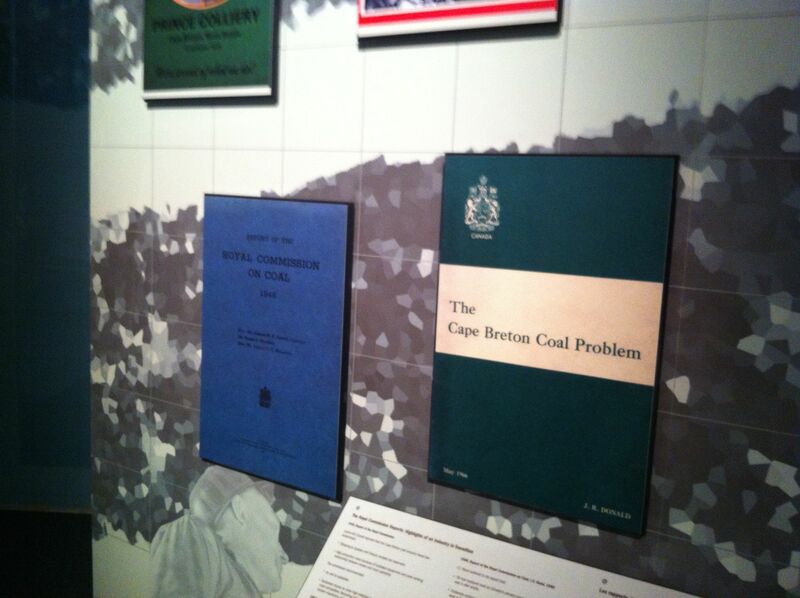 I feel like a tour of the Miners’ Museum should be mandatory for any Cape Bretoner, to really feel the history that happened here, that built the communities we live with now. 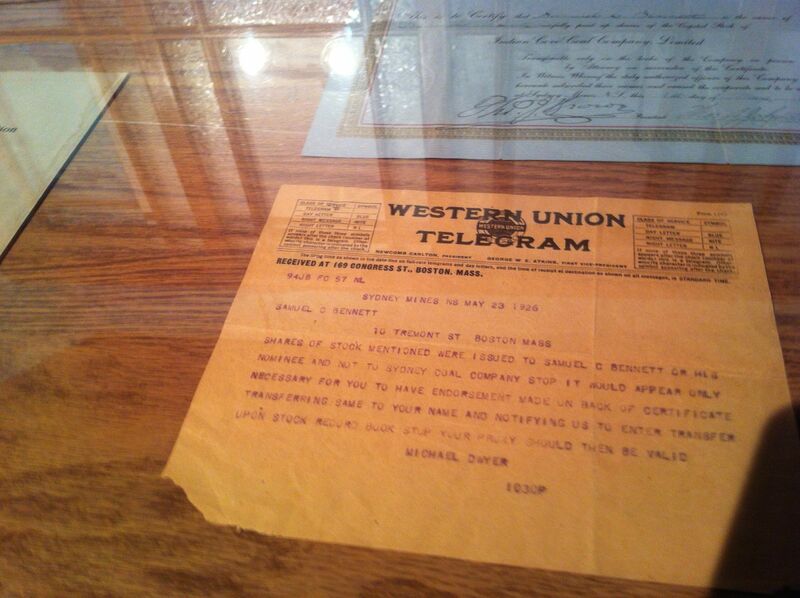 Check the Miners’ Museum out on Facebook to stay in touch with the museum is up to! 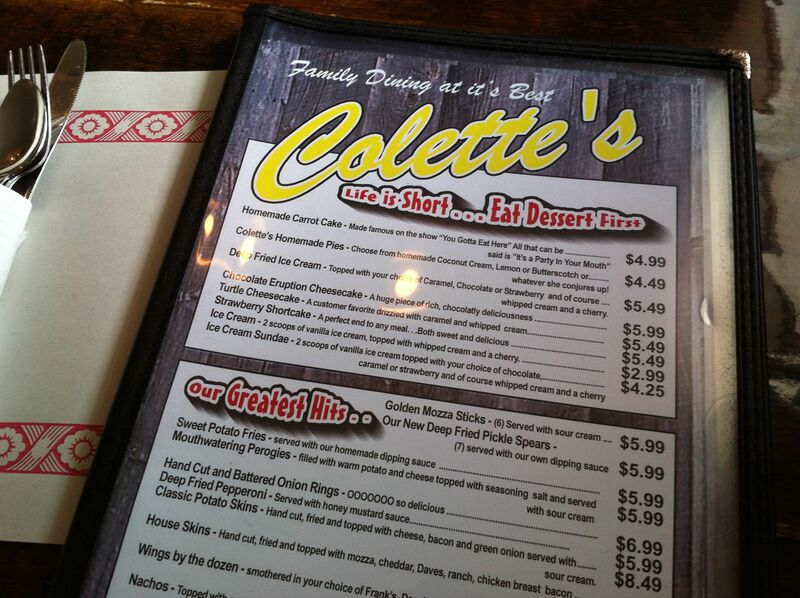 After we came out of the Museum, we briefly checked out the Marconi National Historic Site (which I had seen in a previous visit, here) but we were hungry, so we went to Colette’s, a local Glace Bay diner. 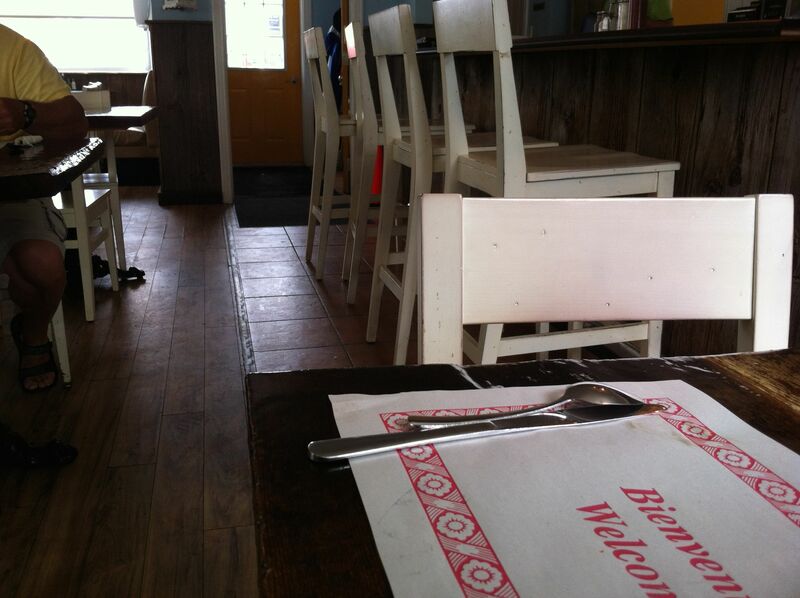 The food was fresh, the service fast and friendly, and the prices super reasonable. I’d go again for sure! 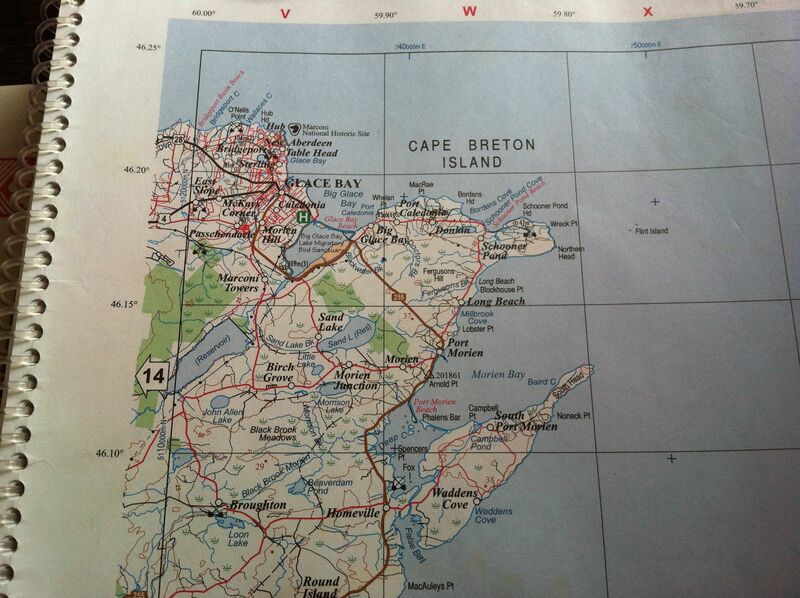 While we were there, I pulled out my trusty adventure companion, the Nova Scotia Atlas, to see where we might go next. 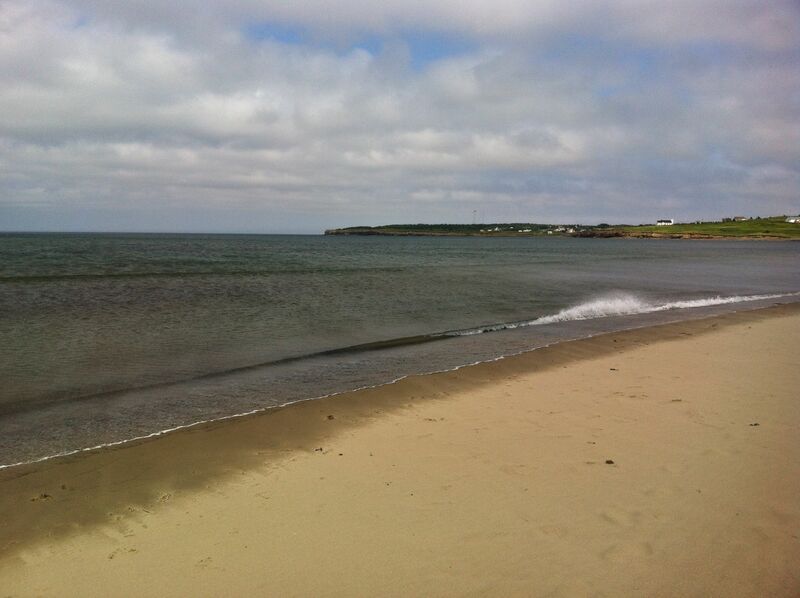 I wanted to see Glace Bay Beach on a nice day (this is the post I wrote in 2012 when I went there as part of my 10Beaches/2012 project, and it was raining and the beach was mysteriously covered in fish heads). And the Glace Bay redeemed itself! It was beautiful, there were lots of families there, and a steady wind blowing the sand across. 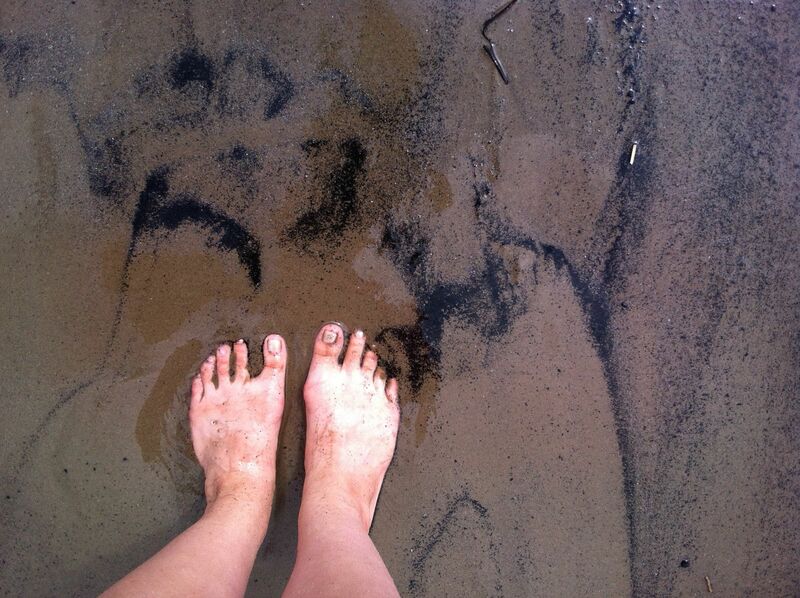 That black stuff in the water around my feet? Coal! Rhonda and I walked along and chatted, got our feet wet and our hair blown around, and then walked back. We decided to drive through Port Caledonia, Donkin and Long Beach, to Port Morien, and then back to Glace Bay and Sydney. 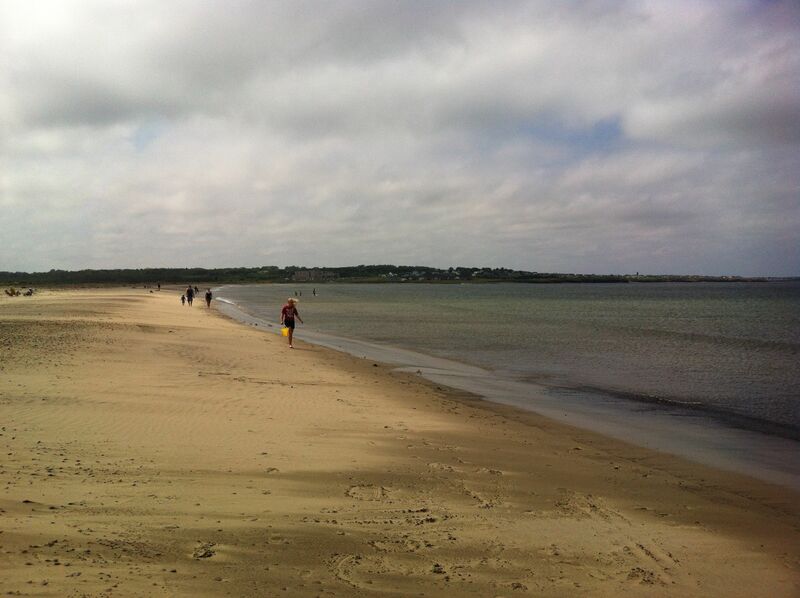 We pulled off at Schooner Pond Beach and got out, and looked at what was there a bit. 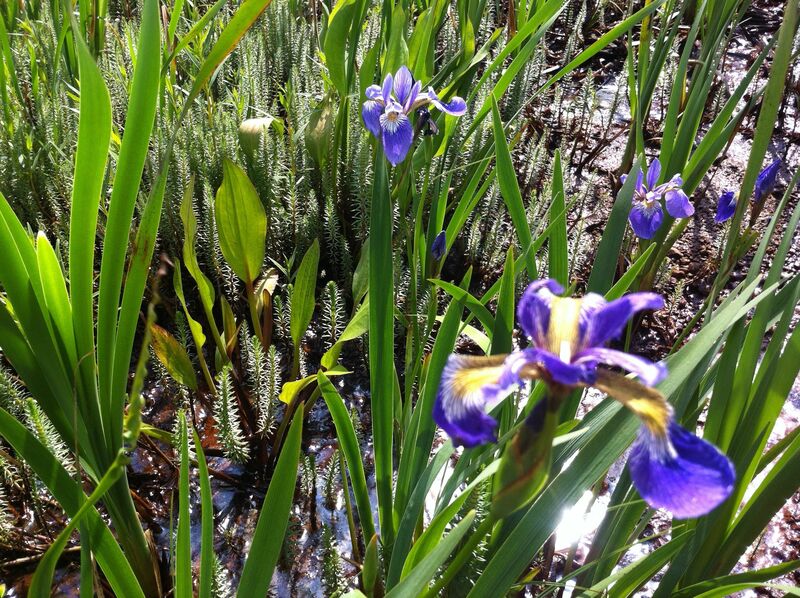 We saw irises in the ditch, and looked at some of the other plants. Rhonda just retired from being a Middle School science teacher, and her education is in botany and biology, and natural dyes. So interesting! I found out afterwards that this beach is also a great spot for fossil-hunting. 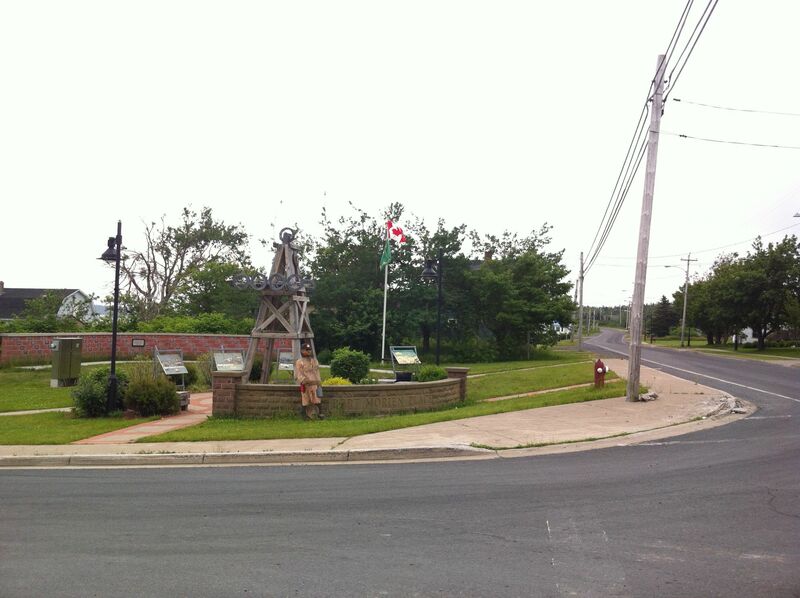 Then in Port Morien we stopped and looked at this little historical information area. Can anyone tell me what this sculpture is all about? I’m guessing it has something to do with coal and coal carts but really had no idea. 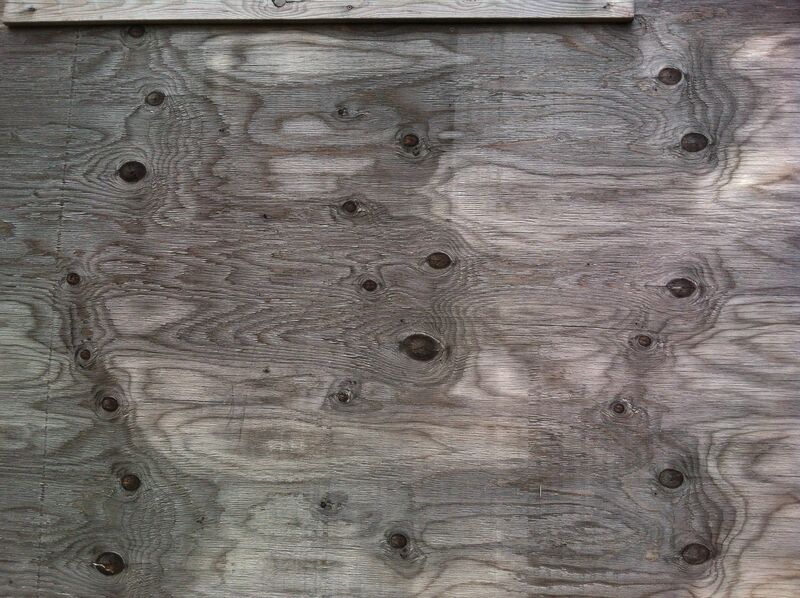 We both agreed that this board (on a closed-down store just across the street) had amazing texture and would make a really cool weaving. The little historical display. So that was our day! Very filling, in many ways. From the history lessons, to the fresh air and sunshine, to spending time with a lovely new friend, it was just what I needed. You can check out Rhonda’s blog here. 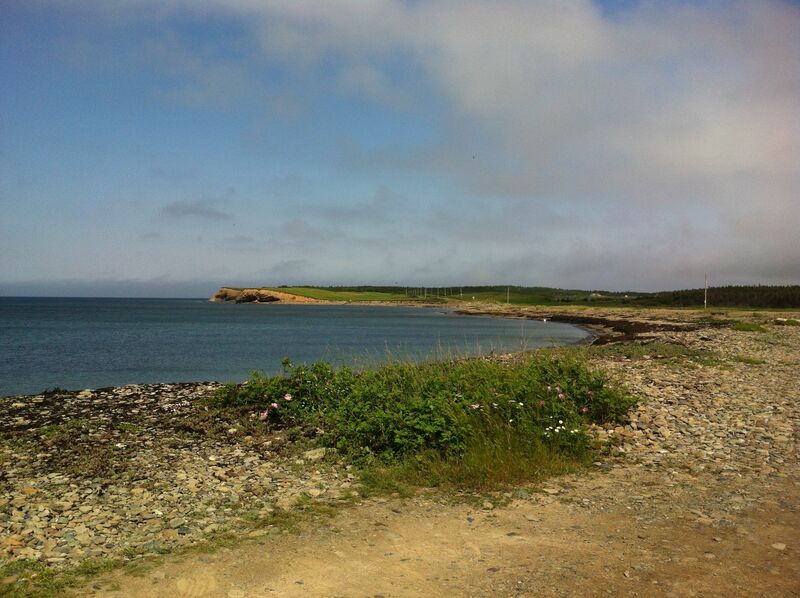 This entry was posted in Active living, Community, Day to Day Life, Social Media, Towns + communities, Work and tagged adventures, beaches, Cape Breton, coal mining, Glace Bay, Miners Museum. Bookmark the permalink. 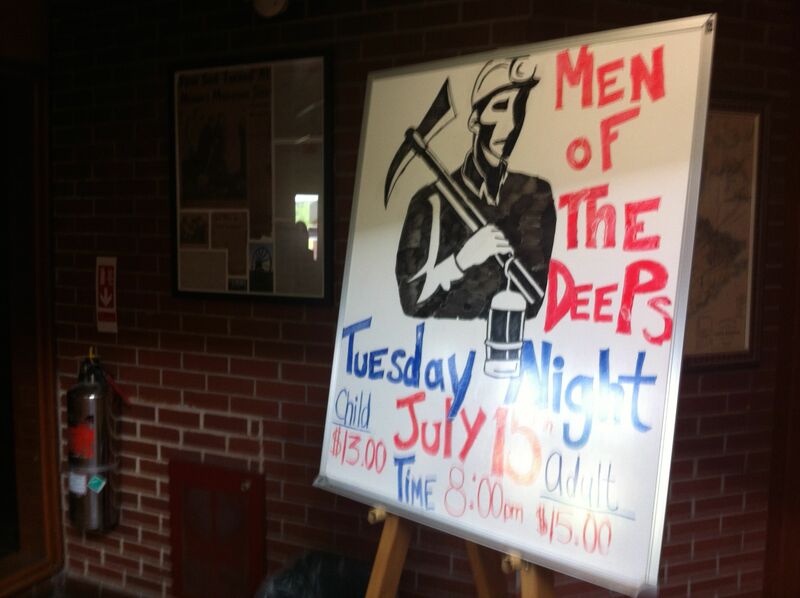 Leah, I’m so happy you portrayed the Miners with such passion and detail. 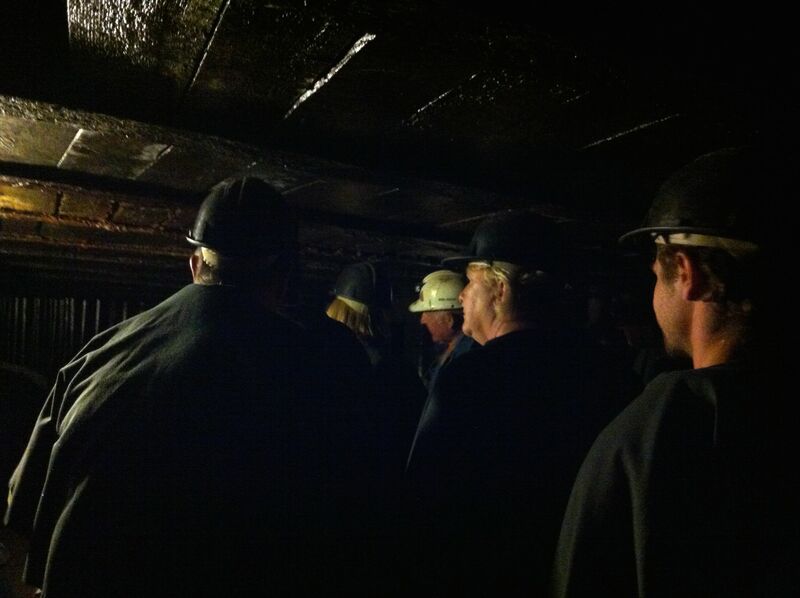 The miners museum is truly is an experience that everyone should take. As a decendant of mining families in Cape Breton, grandfathers, uncles and yes, even my dad for one year, it is truly a tribute to all of them. Thank you! Thank you, Michelle. 🙂 The museum was amazing! 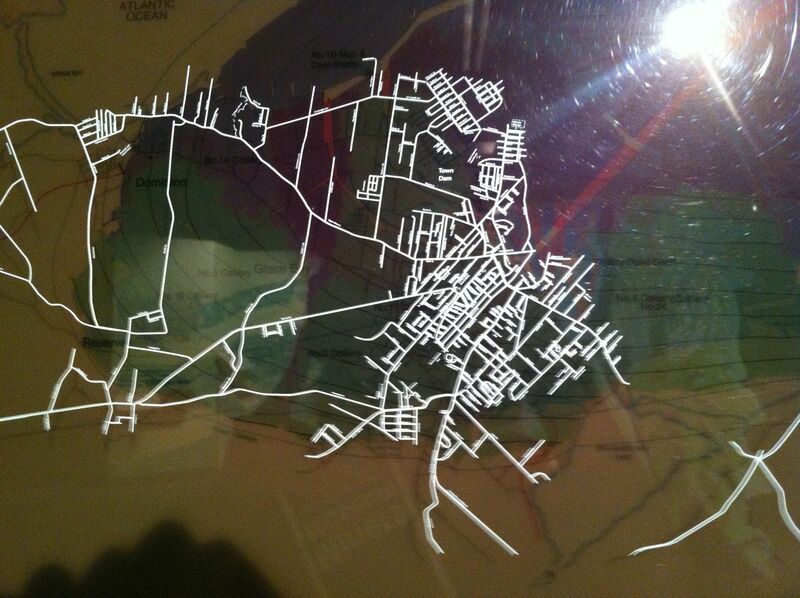 I can only imagine the emotions I would feel if I had ancestors who had mined. 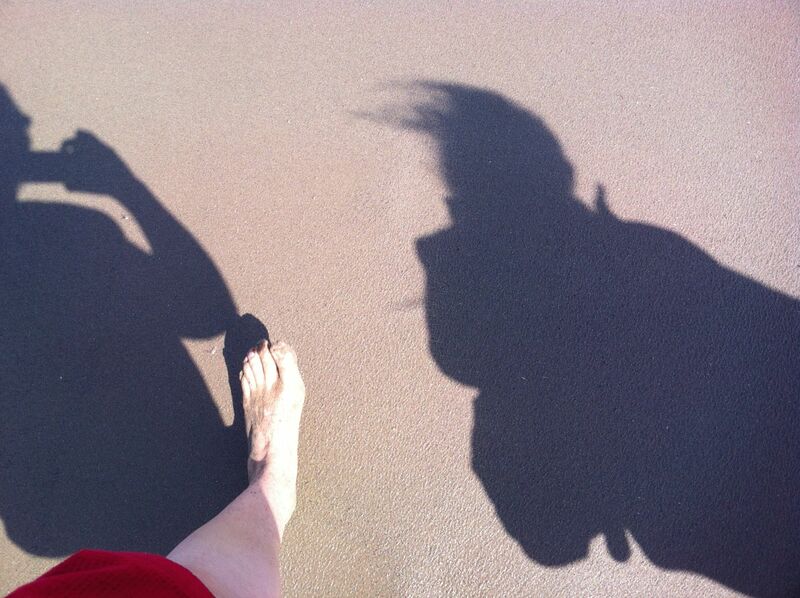 I read your blog each day and normally don’t comment, although I have started taking photographs with my feet in them!!!! I think your visit to the miner’s museum open a door, that most young people have not explored. Your research could start with Adam’s uncle Ted and his (brother in laws) Leo and Austin. They can supply you with lots of facts and stories. There are many books written on this subject but with your talent and a young outlook I believe it would be a best seller, however this living history is quickly passing and unless it is documented soon it will be lost for ever. Hi Colin! 🙂 Thanks so much for leaving a comment! I love reading comments, especially from my rad father-in-law. 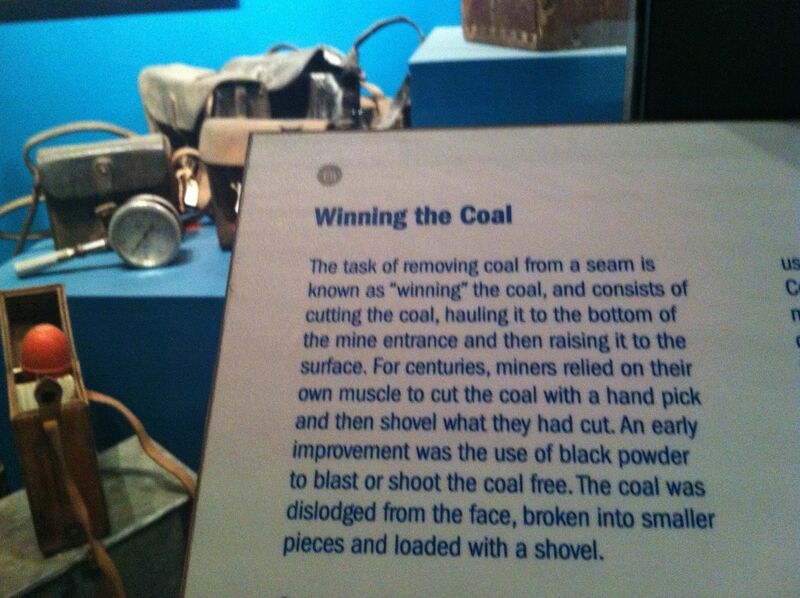 Wonderful idea to explore the coal mining life further, in writing!! I will ponder that and see what brews up. There are some great documentations out there of the coal mining (not least, the museum’s collections) but being able to talk to the miners themselves is something that won’t be around forever. Very interesting! 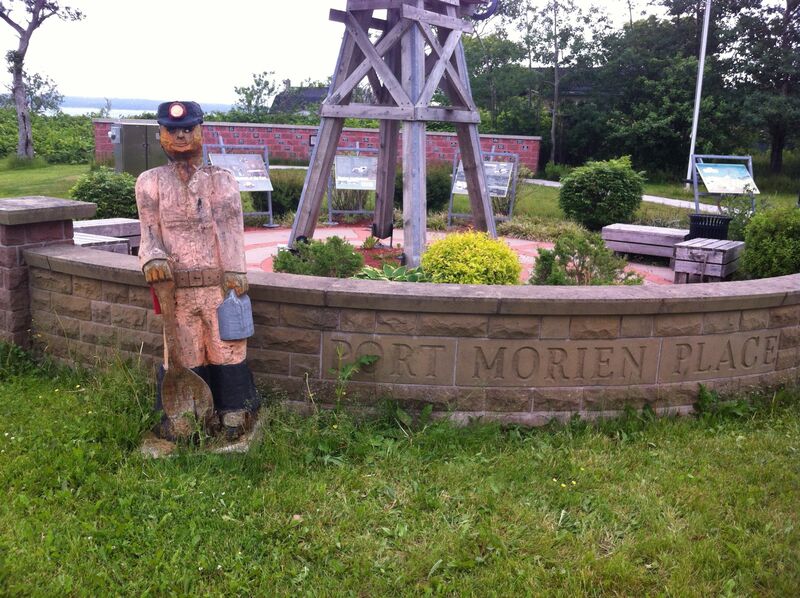 My grandfather was a coal miner and died in the “bump” in 1958 (Springhill, NS) – I toured the mine in Springhill and it is also worth a visit if you ever find yourself there. Also I should say that there is a book on the Springhill mining disaster called Last Man Out (I believe that’s the name…) and it is a very interesting book on the subject. Great tips, Pam! I’ll keep an eye out for that book, and check out Springhill’s mine if I’m there.